This is a follow up to a previous article ( https://sharepointdragons.com/2012/01/30/claims-in-sharepoint-2010/ ) we’ve written. That article discusses how to set up a SharePoint site collection that supports claims authentication. To follow the sequel, you need to have set up such a site collection. From then on, we’ll take it one step further and discuss how to create a custom provider that issues custom claims and how to assign permissions to SharePoint objects based on such claims. Why are we bothering you about claims, again? After finishing our previous blog post about the topic of claims we leaned back and relaxed, enjoying our SharePoint site collection supporting claims authentication, and marveled at the sheer brilliance of our web part that displays all current claims. Then, Margriet got involved in a forum discussion at http://social.technet.microsoft.com/Forums/en-US/sharepoint2010programming/thread/415297a2-941b-411a-bfc5-e1045e0ae80e and we started realizing that the first article wasn’t enough and we had to go at least one step further. As we found out later, it’s a quite common request in military organizations to have a permission structure that is very hierarchical in nature, to have a wide variety of security clearances with a hierarchy associated to them. Please note: For Jesper Schioett, don’t shoot us if we somehow wrongly represent your business case in this article, because seeing your profile picture at http://social.technet.microsoft.com/profile/schioett/?ws=usercard-hover we noticed that you actually can do exactly that! Another way would be to create a single claim and to put XML in it, like so: <l>Defence department<l>Defence Command</l></l>, which would work in scenarios where you’re programmatically iterating thru each claim (as is done in the claims web part in https://sharepointdragons.com/2012/01/30/claims-in-sharepoint-2010/), but unfortunately breaks down when you want to assign permissions to SharePoint objects based on such a claim. Yet another way would be to use the hierarchical nature of URLs to come up with a scheme to capture the hierarchy. 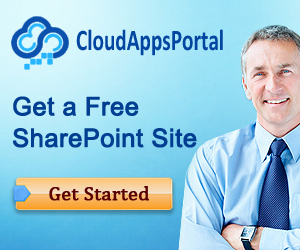 This is discussed in http://sharepoint.mindsharpblogs.com/NancyB/archive/2011/03/28/Custom-Claims-Providers[coln]-Hierarchical-Claims-[dash]-Part-2,-Setup-and-Claims-Augmentation.aspx However, we feel this is only a slight variation of the first approach where multiple claims are created to capture each aspect of the hierarchy. It does do a nice job of representing your actual hierarchy, so if that’s what your looking for it may still be the ideal approach for you. The code examples are screenshots. That sure was annoying. Claims are added equally for everybody. We believe that even the most basic of claim provider implementations should provide some code for determining the current user. The article stops too soon and doesn’t discuss what to do with these claims once set up. Because of these shortcomings in an overall good article, we felt the need to redo parts of the article, keeping the original example intact (being fine as it is). This provides the added benefit that now the code can be copied and pasted (although we’ve put in minor changes), instead of retyped, and shows how to assign permissions to SharePoint objects based on the newly created claims. Every SharePoint web application has a registered set of claim providers which are triggered every time authentication is performed. It doesn’t matter whether you log in using Windows authentication (NTLM or Kerberos), forms authentication (using an ASP.NET membership and role provider), or via a Security Token Service (STS, Active Directory Federation Services 2.0, or ADFS 2.0, is a good example of an STS) that issues SAML claims. In this example, we’ll create our own and add it to the existing set of claim providers. We’ve tested with both NTLM and forms authentication. We’re not reiterating the steps listed in http://sharepointmetadataandclassification.typepad.com/blog/2012/03/building-a-custom-claim-provider-to-manage-security-clearances.html , they work and we’ll just provide our code for the implementation. Please note: The FillClaimsForEntity method is, by far, the most interesting method to review. // Now, add claims based on the current user. This logic is omitted. The receiver assembly to $SharePoint.Project.AssemblyFullName$. The receiver class to LoisAndClark.Claims.MyProviderEventReceiver. Once you deploy it and log in, you should see the new claims issued by our custom claim provider, as shown in the next Figure. Two tips. One. 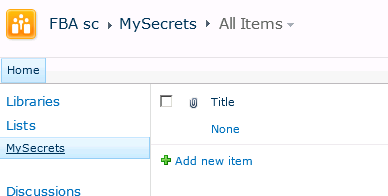 Every time you’re changing your claim provider, deploy it and then perform an iisreset before changes are visible. Two. You can debug your custom claim provider by attaching to the w3wp process. Claims are cool! But didn’t we all know this already? the class Program that you created to assign the permissions to the site… how is that applied to the SP site? The code is simple and easy to follow but being new to SP I don’t know how to get this code to run on my SP site. can you give some tips for a beginner on that topic? Ah, just create a console application using visual studio and paste in the code. Remember, the console app has to run on the SharePoint server itself, because it uses the SharePoint server object model and otherwise it won’t run. Other things to look out for: make sure you compile the console app using .NET 3.5 and 64 bit. It gets tedious: otherwise it won’t run! if you wouldn’t mind, would i be able to contact you through email about this? Well, it’s better to ask then to wander… Start Visual Studio then choose New Project > Visual C# > Windows > Console Application. 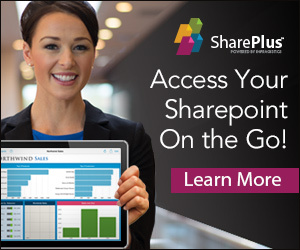 In this case, the code is run from a stand-alone program, so you don’t need to actually put it in SharePoint. You do need to add references to the SharePoint dll’s, which is made really easy using the CKSDevs tools described in http://social.technet.microsoft.com/wiki/contents/articles/8666.sharepoint-2010-best-practices.aspx#Top If you want, you can also take the code and run it somewhere else, such as in a web part.In that case, you only need to copy the contents of the main method.